Raffles Singapore is the ideal address for elite corporate events and glittering social galas. Well-planned meetings, events and celebrations complemented by impeccable service, charming decor and exceptional catering all come together to create an unforgettable experience. 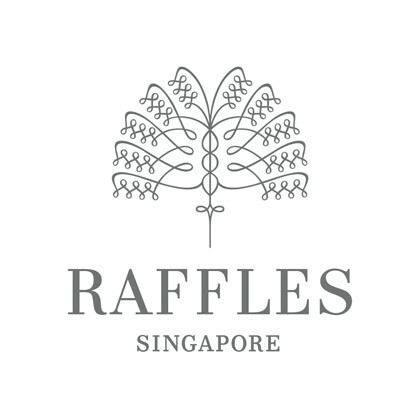 With 2,500 square metres of resplendent event spaces, all celebrations at Raffles will be unparalleled. Celebrate love amid a blend of luxury, history and restored colonial splendour. Raffles Singapore presents an extraordinary setting for every romantic occasion and celebration, from dream weddings to honeymoons and anniversaries. Step into the elegant ambience of our distinctive colonial architecture and celebrate some of life’s most momentous milestones, just the way you imagine them to be. From intimate soirées to grand weddings, our event spaces span outdoor venues, sunlit indoor foyers and inviting restaurants to suit personal requirements. Our grand Jubilee Ballroom tells the legacy story of the pre-restoration Victorian theatre with finely curated motifs and signature gold Venetian light fixtures. The refreshed Palm Ballroom presents a resplendent space with sophisticated details while the lush outdoor greenery of The Lawn evokes a sense of timeless romance and grace. A Raffles Romance is the perfect beginning to a lifetime of exquisite memories. The perfect setting, where your fairytale comes to life. Our new grand Ballroom takes the space of our former historic Jubilee Hall theatre, seating more than 300 of your loved ones. Elegant and sophisticated in hues of cream and gold, stunning chandeliers and signature gold Venetian light fixtures with elegant coffers, light the room beautifully and provide an added layer of luxury. Jubilee Ballroom sets the stage for a truly splendid affair. The refreshed Palm Ballroom inherits its name as a nod to the Traveller’s Palm, the emblem of Raffles. It has been lovingly restored with striking lighting elements and the latest audio-visual technology accommodating up to 200 guests with its own adjoining air-conditioned pre-event foyer. 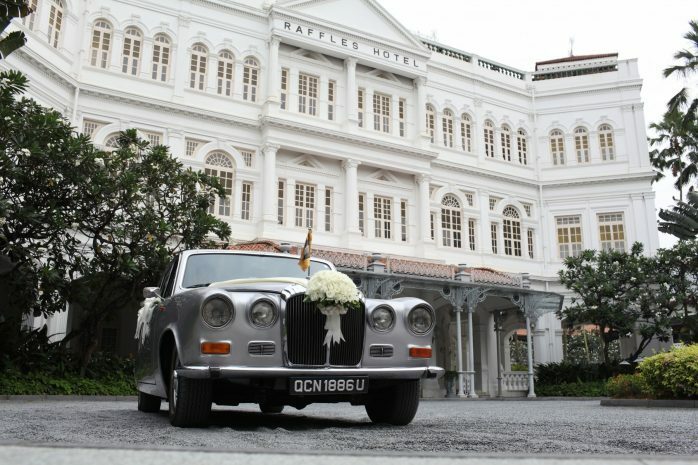 The regal charm of Raffles shines through at this more intimate venue, designed for style, elegance and comfort for a wedding steeped in historic grandeur. Champagne gold drapery and pastel wall panels provide a picturesque backdrop to celebrate love and each other. Occupying pride of place in one of the hotel’s most historical alcoves, this charming venue adjoins an outdoor garden featuring an ornate six-metre high cast iron fountain dating back to the 1890s. Solemnising your vows here promises a breathtaking start to forever. The Lawn offers the backdrop for a wedding as beautiful as the vows you exchange, nestled in tranquil serenity. To learn more on our Raffles Romance experiences, click here.